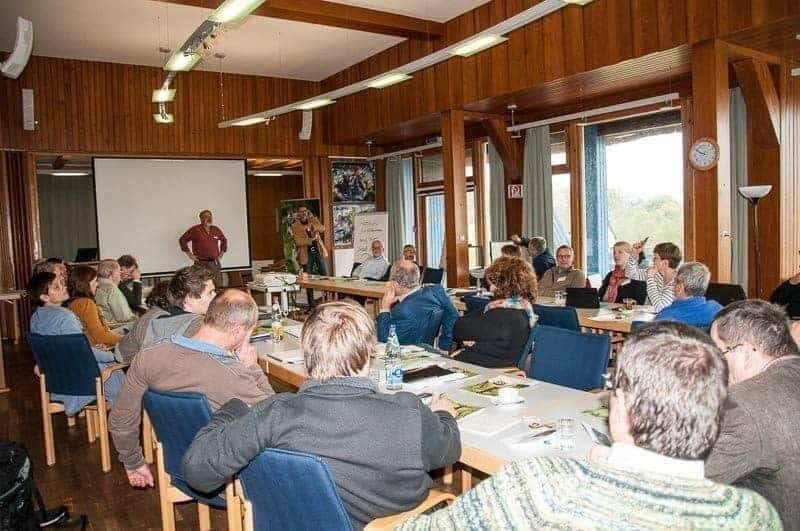 34 Wilderness Advocates, governmental representatives and NGOs met for three days in the wilderness of the Island of Vilm to discuss the Biodiversity Strategy of Germany to reach the proposed target of 2% of wilderness and 5% Natural forests by 2020. Specifically the mapping and identification of proposed wilderness areas meeting the European Standard with a minimum of unfragmented 1000 ha core zone was of great interest. Prof. Rosenthal actually proved that Germany has sufficient potential wilderness areas to surpass this objective. Also of great interest was the Wilderness Acceptance Study undertaken by the BfN, which proved that more than 63% of Germans support more Wilderness and even accept access restrictions. The European Wilderness Society presented the European Wilderness Quality Standard and Audit system and how this would be implemented in Germany. A workshop to discuss the set of indicators for each wilderness criteria is already being planned and will be held very shortly. The workshop was regarded as a huge success in helping to achieve more wilderness in Germany and is scheduled to be repeated next year. The presentations and documentation will be available as a separate book at a later date. We will inform you once it is available.